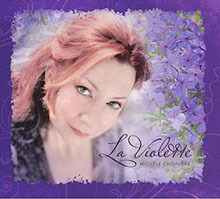 My new CD, La Violette, is now available! Buy it at CDBaby.com! Thank you for visiting! 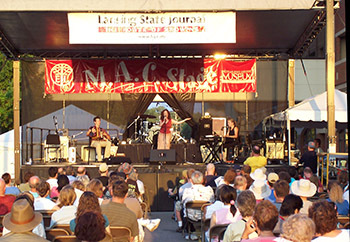 To learn more about my music and Franco-American Heritage, you can explore my site and checkout my current concert schedule. I'm on Youtube! 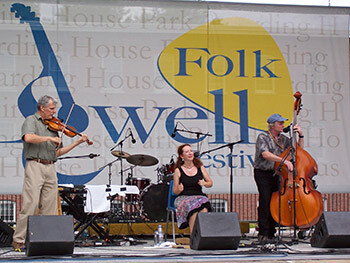 Here's "Quand le Soleil", here's Te Souviendras-tu de moi?, here's Bergere encore, and here's an interview shot by the Lowell Folk Festival! Buy my albums here, or write us for a booking. LOOK at what Canadian newspaper Le Devoir had to say about Michele. 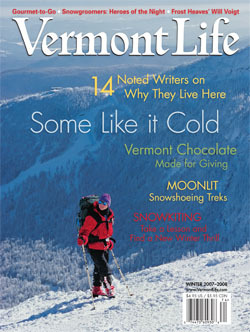 The article ran on July 23, 2011, and was part of a series on Franco-American culture in Vermont. C'EST SI BON! A reminder: the VT Arts Council lists Michele as a juried performing artist, as well as a juried teaching artist. She is also an alumnus of the American Masterpieces Program. This is not only a great honor, but also qualifies Michele for grant funding. Send an email to discuss a booking. Read the interview from Seven Days on my music and Franco-American traditions.